Did you know that for every $1 spent on email marketing, an average of $44 return is made? And in the UK, it’s 38 pounds for every pound. If you’re not using email marketing yet for your business (or are still considering), if this single fact doesn’t convince you, I don’t know what will! 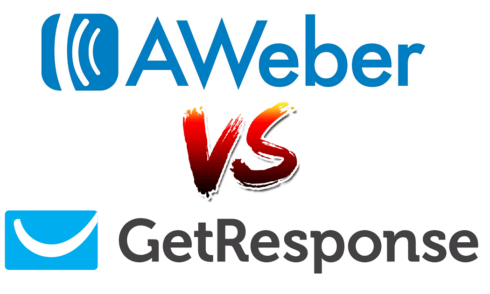 Alright, so back on topic: Aweber vs GetResponse. 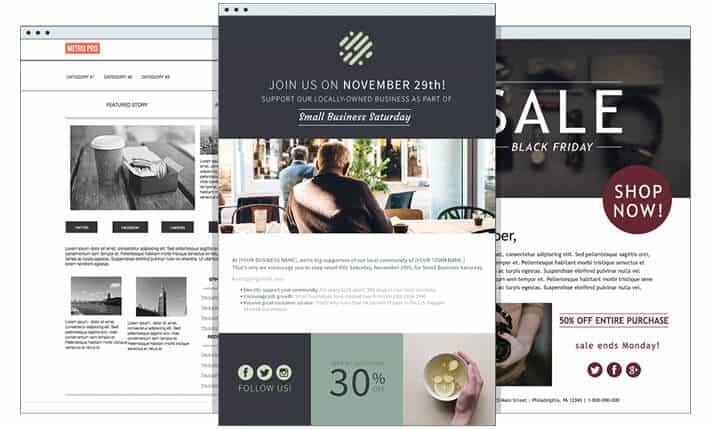 If you’re already familiar with email marketing and why we use tools like Aweber and GetResponse, you can skip the next section. Otherwise, read on for some important background info. It doesn't really matter whether you own a small business, provide marketing as an agency, do affiliate marketing or otherwise. Email marketing is not something you want to miss out on. It’s easy to figure out what email marketing is all about just by reading the term. You’re sending marketing related content via email and getting people to spend more money with your brand. 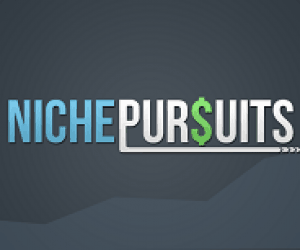 It’s a marketing channel like running ads, renting billboards…etc. One fundamental difference though: ownership. When you advertise on Facebook, Google or even a good ol’ physical billboard on the street, it’s all pay to play. Not only that, but you own none of those properties. Meaning, even if you depend on free “organic” reach on Facebook/Google..etc, you’re still completely at the mercy of these traffic sources. That’s not the case with email, though. With email, you own your traffic. You have a list of prospects that you can email anytime and have them read and respond to your email with a click of a button. So far so good. Why bother with these “tools” though? Good question. Say you just have 10 subscribers. You can technically just email them using your Gmail account. But you’d need to manually enter their emails and manually manage those subscribers. You also can’t automatically have them sign up to your list using a web form or otherwise. What if those 10 have different interests? You’d have to manually track their interests and send them relevant content individually. What if you want to send them email sequences separated by time intervals based on the date they joined your list? What if you want to send them something if they buy from you, but something else if they don’t? That’s hectic for 10 people. Imagine having 20, 50 a 100 or thousands. Not only will you face problems managing these people, but Gmail will also severely limit your sending capabilities as you can’t just blast out thousands of emails in a minute with Gmail. It may even mark your account as a spammer and shut you down or temporarily suspend you. Not good. Enter the world of email marketing service providers, also known as “ESPs” or email service providers. 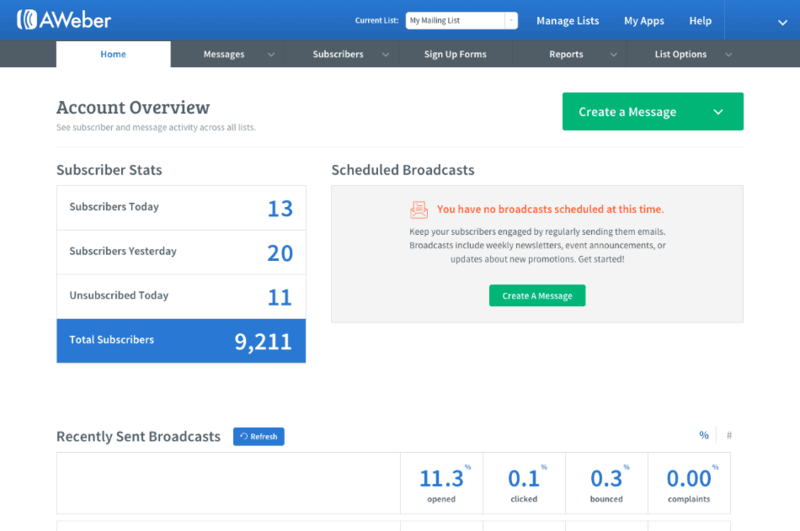 The main job of these services is to allow you to automatically subscribe people to your newsletters, manage them easily, send out thousands of emails to them with no issues and without landing in the spam folder, as well as using intelligent tools to effectively segment your emails and tailor your messages to people’s actions and interests, all done automagically. Two of the most popular ESPs on the planet (I just noticed that using the word “planet” makes things sound way too dramatic, still like it though) are Aweber and GetResponse, the subject of this comparison blog post. Hopefully, that fully answers your “what and why” concerns. Now for a little history about the two providers. Both companies were actually founded in 1998. That’s two whole decades, so it’s safe to say that they’re both very mature products. It also doesn’t come as a surprise that they’re both extremely popular and well-known, not just in the email marketing space, but in the digital marketing space in general. Aweber was founded by Tom Kulzer in the US while GetResponse was founded by then 18-year-old Simon Grabowski, who established GetResponses’ first office in Poland. According to their respective “about” pages, GetResponse serves more than 350,000 customers spanning 183 countries while Aweber serves over 100,000. We’ll get to breaking down each major feature and comparing it in a moment, but for those who don’t have the time (or the will) to go through the whole post, let me give you a quick overview of the features. I won’t compare how similar features perform in this section, I’ll merely mention the features that one has but lacks in the other, so here we go. Sending an unlimited number of emails to your lists. Capturing, storing and managing email addresses and subscriber lists. Hundreds of email templates to choose from so you can design your dream email. 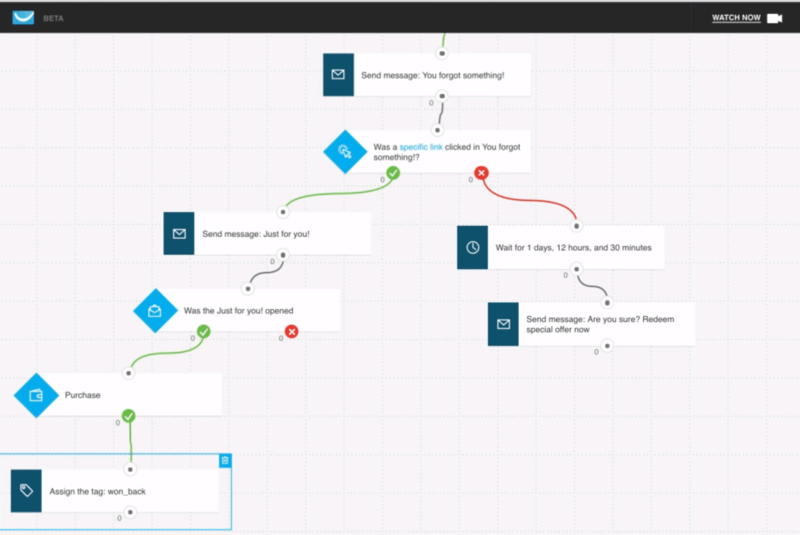 Automated email sequences with set time intervals using the autoresponder service functionality. Performance reporting. An overview of how many times of your emails were delivered, opened, links clicked…etc. Drag and drop Email editors that allows you to create emails without coding. RSS to Newsletter allows you to send your new blog posts automatically to your subscribers. In the past year though (as of writing this), GetResponse have upped their game offering a suite of new functionalities and completely redesigning their interface. They now market themselves as a marketing tools or solutions provider and not just an ESP. They even have a new digital marketing certification, and that offers more insight into the company’s new direction. CRM Platform (Customer Relationship Management). A landing page creator (or builder) tool. While these newly introduced functions may not compare favorably to dedicated solutions like SalesForce for CRMs or GoToWebinar for webinar hosting, they still offer 2 attractive benefits. One: they keep a lot under one roof and minimize your need to set up integrations back and forth. Two: consolidated pricing brings down your overall cost, you pay one price for your email, webinars, CRM and landing page builder. You also avoid the expense of spending a fortune on advanced marketing automation solutions such as Klaviyo. It’s important to note, however, that not all of these features are included in the cheapest available plan. However, the previous two benefits could be more than enough justification to go for the higher-tier plans that offer the additional functionality. You can check out their plans here. With that out of the way, let’s go in-depth with the feature comparisons. GetResponse’s pricing is quite a bit more complex since they now offer a lot more than just email marketing. GetResponse has 4 plans, and each of those has tiered pricing depending on the number of subscribers. So for fairness’ sake, I’ll be comparing GetResponse’s lowest plan, “Email” with Aweber, since this is the closest one to Aweber’s offering. As you can see, the only major difference is in the 1,000 subscriber plan. GetResponse is significantly cheaper there and hence much more newbie-friendly in terms of pricing. Other than that, GetResponse maintains a “cute” $4 savings (that almost seems intentional). To tell you the truth, I’m so darn tempted to email support just to ask them if this was a coincidence. For plans above 25,000 subscribers, though, an interesting turn happens. GetResponse has a set pricing for those while Aweber says “Get a Quote”, suggesting that pricing for their biggest plans are negotiable and hence might beat GetResponse’s. The pricing comparison doesn’t end here though. There are a couple of other things that really annoy me about Aweber’s pricing policy. First off, you get charged for unsubscribers (unless you delete them, but then you wouldn’t know who unsubscribed). Considering that “unsubscribers” have opted out of your emails and will not receive any further communication from you (hence won’t make you any more money or even engage with you in any way), it’s kind of ridiculous to still get charged for them as if they were active subscribers. Second, they do not charge you for every unique person in your account but every unique person in your LIST. So, say you have the same person on 10 lists (which is very possible by the way because each list could be for a particular event, webinar, offer…etc) then you get charged 10 times for that person. If you have 1,000 of those “one person”, you’re now being charged for 10,000. It doesn’t matter how smart, well-written and engaging your emails are, or how big your email list is if your emails don’t reach the people’s inboxes. Unfortunately, achieving good deliverability is far from a standard, straight-forward procedure. Sure, where your emails are coming from (your ESP’s servers) has a big say on whether your emails get to the recipients’ inboxes, but it’s not the only factor. Your email content itself plays a big role as well as your industry. For instance, an email about “weight loss pills” has a significantly higher risk to land in the spam folder than an email about “top childcare tips”, regardless of where your email is being sent from. The folks at OptinMonster have written a REALLY thorough blog post about the top 13 things you can do to maximize your chances of landing in the recipients’ inboxes. Alright, so now that we’ve taken care of the part you can control, what about the part you can’t? Thankfully, both Aweber and GetResponse are refreshingly transparent with deliverability-related statistics. Sure, they both claim to have 99%+ deliverability, but they take a bolder move and provide their sending IP addresses. If you’re not a technical person, don’t worry it just basically means they’re giving you the exact addresses of the servers that send the emails. How does that help? Well using a service like Return Path’s SenderScore, you can get an idea about the reputation of these sending servers and hence their deliverability. You can learn more about how SenderScore works here. SenderScore’s terms of service prohibit me from publicly sharing their data, so I can’t give you exact specifics, but I can tell you that both GetResponse and Aweber have a solid server reputation scores. That said, Aweber does take the lead here in terms of having more IPs scoring above 90 and subsequently fewer ones scoring under 90. But again, both of the providers’ numbers are solid so I believe this criterion alone is not enough to warrant choosing one over the other. You can actually carry out this exercise yourself and be the judge. Simply create a free SenderScore account and click “Sender Score” from the top menu to navigate to their lookup tool. All you have to do then is enter Aweber and GetResponses’s IP ranges and check the results. You can get Aweber’s IPs here and GetResponse’s here. To be honest, GetResponse has had a historically nasty interface and a weird naming convention such as calling newsletters “Campaigns”. The GetResponse interface wasn’t intuitive and felt grossly outdated. The interface has substantially more options than Aweber, and that’s to be expected since GetResponse now provides a lot more than just email marketing. The challenge is to keep all those features/options organized in a clean way, and I think they’ve done a good job at that. A year ago I would have said Aweber is the clear winner because I really hated GetResponse’s interface. Seems like I wasn’t the only one though, because they listened and managed to really up their game. Both offer 30-day free trials so you can sign up and explore for yourself. I should note here that I’m not a fan of email templates. In fact, most of the emails I send out are plain-text emails or minimal HTML ones (links and maybe images every now and then). The reason is simple, my own testing suggests that plain-text emails are not only opened more often but also bring more engagement. Don’t take my word for it, though. The folks over at HubSpot have independently researched this and came to the same conclusion. I guess it’s because these emails are more similar to the regular emails you receive from normal people. After all, the emails you read and reply to every day are seldom fancy with vibrant colors and eye-catching graphics. This section is not about getting you to abandon using email templates, though. But I do think that you should give plain-text emails a try if you haven’t yet. With that out of the way, let’s talk about how GetResponse and Aweber’s pre-designed email templates compare. So who has better-looking templates? Like I said, I almost never use their pre-designed templates anyway but if I were to choose, I’d choose Aweber’s. This, of course, is highly subjective so if templates are a big thing for you, make sure to thoroughly review templates on both platforms before making your decision. 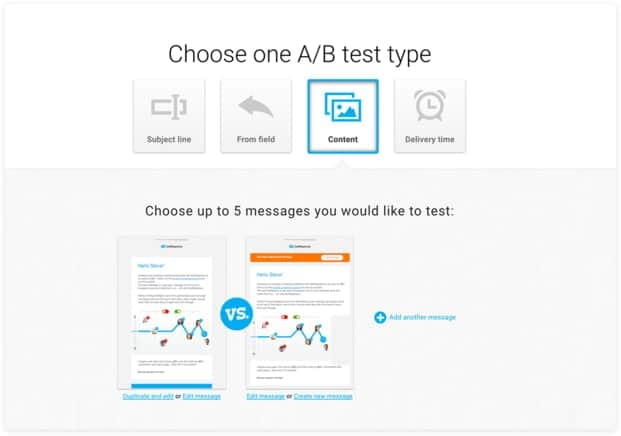 A/B testing (also known as split testing) is usually deemed an advanced feature and of less general importance when choosing the right email marketing provider. I disagree, but before I tell you why, let me quickly tell you a little bit about A/B testing in case you’re not familiar with the term. This is a very important section to read if you’re not familiar with A/B testing. If you’re familiar with it, though, please skip to the next section “Who wins?” to see who has better A/B testing tools. A/B testing can apply to a lot of things, but for our purpose, we’ll take an email subject line as an example. When sending email marketing campaigns or newsletters, you’d usually write up the email, proofread, add the final touches and send it to your list. An email that utilizes subject line A/B testing will be structured a little differently. Say you have a list of 10,000 subscribers and you’ve completed drafting your email. You’ll then come up with subject line A and subject line B, basically two subjects for the very same email. Get your creative juices going, go crazy, make the two subjects completely different than each other. You’d then, for instance, send email with subject A to 2500 subscribers, email with subject B to another 2500 subscribers and the winner of both to the remaining 5000 subscribers. Confused? Bear with me here. What we did here was send the very same email to the same number of people (not the same people though) with the only difference being the subject line. We then monitored how people interacted with the email (opens, clicks) and used the “winning” email for the remainder of our list. But why bother? Simply because one of the subject lines could severely (or slightly) outperform the other. For simplicity let’s focus only on open rates. Say subject A had 10% opens and subject B had 20%. By running that test I now have data indicating that email with subject B is being opened double the times A is. 10%*10000 = 1000 total opens. With this simple drill of trying 2 subject lines for our email, we’ve managed to increase open rates by a whopping 75%. Sounds made up? Take a look at this case study by SmartInsights, they did almost exactly what I had outlined above, and they have all the numbers to back it up. GetResponse really beats Aweber in this regard. Aweber has a very limited feature that allows you to A/B test sign up opt-in forms only. With GetResponse, not only can you split test the subject line, content and even delivery date and the “from” field, but you can test up to 5 variations of each. You might be tired of reading the same thing again and again, but both Aweber and GetResponse provide solid reporting features including open and click rates, ROI and unsubscribe rates. Aweber allows you to heavily customize your view by adding/deleting favorable reports. While Aweber’s data is very comprehensive, navigating it is not as intuitive as in GetResponse. GetResponse also integrates natively with Google Analytics, something Aweber does not do. GetResponse recently introduced advanced marketing automation tools as well as tight integrations with a number of e-commerce platforms. This opens up a whole suite of new opportunities in terms of email personalization. Aweber offers similar tools but they aren’t nearly as powerful or as intuitive. You can tag or segment subscribers based on actions they take and trigger email sequences based on that. However, the process is not as visual as GetResponse’s and is definitely not as sophisticated. Both platforms offer over a hundred integrations with third-party tools since they’ve both been in the market for two decades. Aweber wins when it comes to the overall number of integrations they support though. If the unavailability of a specific integration is a deal breaker for you, make sure you check out the integrations each platform supports to avoid the hassle of needing to switch down the road. I can’t help but reiterate that GetResponse supports Google Analytics out of the box, though. That’s something I still fail to understand why Aweber hasn’t done yet even though it’s already been adopted by big competitors including MailChimp and GetResponse. Let me address what’s probably on your head right now: why the bias? To tell you the truth, GetResponse and Aweber were very close competitors up until recently. They both felt like outdated “once upon a time dominant solutions”. felt pity for the both of them and really didn’t expect any of them to make a “comeback”. Aweber did improve a lot over the years but not to the extent I can call a “comeback” in my book. GetResponse surprised me, though and since then, they’ve won me over (as evident from this post). It’s not all rainbows and butterflies though, there are a few hiccups with GetResponse. Their support is slow in my experience and they don’t offer phone support as of writing this (while Aweber does). Their deliverability scores are not as spotless as Aweber. People have also experienced delayed delivery when they send emails out. Aweber delivers emails almost instantly. If you don’t like GetResponse, I’d highly recommend you also take a look at this ConvertKit review. It’s amazing but a little pricey, still a very solid option. You can also read our ConvertKit vs. Aweber comparison. I’m not into MailChimp that much but I’d also consider them over Aweber too. I hope you’ve found this comparison helpful. Which solution do you currently use and do you like it? If you’re looking to switch, why? Please share your opinion in the comments section and let me know if you have any questions! KDP Rocket Review: Best Research Software For Kindle Publishers? Emma vs MailChimp: Which Email Marketing Software is the One for You? MailChimp vs AWeber: How Do These Classic Email Marketing Tools Compare? StudioPress Review: Is the Genesis Framework Right for You?